Located in the Kumaon region of Uttaranchal, Kausani stands high at an elevation of 1890 m above sea level. The hill resort of Kausani is truly a retreat in the summer months. 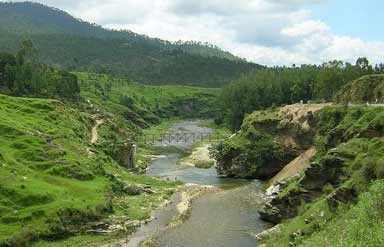 Originally called as Valna, Kausani offers the beauty of deep pine forests and the high mountains. This small town is the birthplace of Sumitra Nandan Pant, a famous poet. Located among mountains and trees, the popular peaks of Trishul and Nanda Devi can be clearly seen from here. In the year 1929, Mahatma Gandhi spent 12 days here and wrote a book called Anasakti Yoga. The place where he stayed is known as the Anasakti Ashram. Earlier, this Ashram was the guest house in a tea estate. Fascinated by its enchanting beauty, tourists visit the land throughout the year. A little away from the Kausani bus stand, there is a museum of Sumitra Nandan Pant, a Hindi poet. The house which has the museum is where the poet spent his childhood. His daily use articles, drafts of his letters, poems and his awards are displayed here. Just 1 km away from the Anasakti Ashram, this place has now become a centre, run by a women social workers. Located in an isolated dense jungle, this is the place where Sarala Behan, a disciple of Gandhiji spent her life doing social service. 20 km from Kausani, there lies the temple of Lord Shiva, at 9050 feet above sea level. From this place, you can view many beautiful valleys. Around Pinakeshwar, there are other places like Old Pinakeshwar, Huria and Gopalkot. Situated 17 km from Kausani, Baijnath is an important historical place in Uttarakhand. 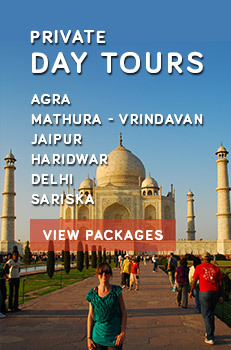 It is located on the banks of the Gomti river. Built thousands of years ago, the Baijnath temple is still known for its carvings and sculptures. One can also see some old temples here. These two glaciers are perfect for adventure lovers. Located in the Pindari Glacier region, these glaciers can be seen at different spots. Sundardoonga boasts of its beautiful rocks and to reach there, you have to pass through Umla Jatoli village. The hill resorts of Kausani offer different accommodation options ranging from deluxe, standard and budget hotels. Tourist rest houses are the other available options for accommodation. By Air: Pantnagar is the nearest airport to Kausani. By Rail: The railway station at Kathgodam is the nearest railhead. 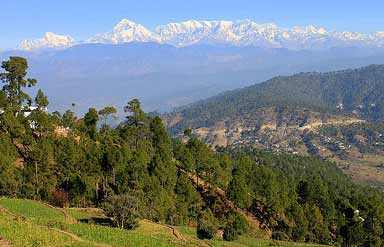 By Road: Kausani is well linked to other hill resorts like Ranikhet, Almora, Pithoragarh, Nainital and Gwaldam through road route.